If seeing sloths is one of your top “must-dos” while visiting Costa Rica, staying at Blue Osa Yoga Retreat & Spa is the perfect home base for experiencing these intriguing and peaceful creatures that live in abundance on the Osa Peninsula. You are guaranteed to see sloths during the Osa Wildlife Sanctuary Tour, where there are usually several orphans in residence at a time. Or you can take your chances and see the sloths in their natural habit by simply walking down the road from the retreat, where guests often spot them in the trees on their morning or evening walks. There is also a great chance of seeing sloths in the wild on one of the many eco-tours offered through Blue Osa, especially on the Matapalo Hike . 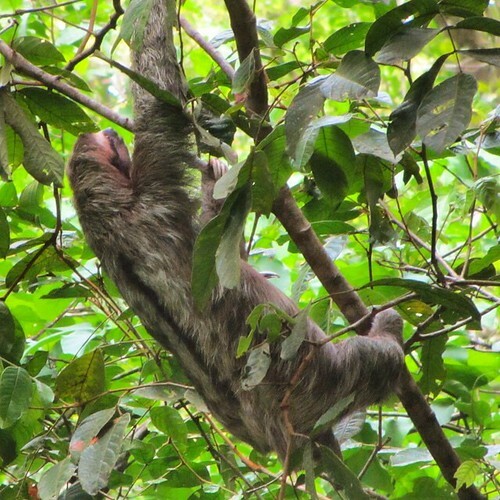 This photo was taken of a sloth right on the property of Blue Osa in the morning! and even though they live in trees, they are most closely related to anteaters and armadillos, not monkeys. They eat the leaves from the trees where they dwell and the leaves are both slightly toxic to the sloth and difficult to digest. They move slowly because they are conserving energy: the leaves have little nutrients and can take up to a month to digest! They have a many-chambered stomach like the cow, and up to two-thirds of their weight is in undigested leaves slowly making their way through the system. They do almost everything hanging upside down from trees, including mating and giving birth. Although their speed makes them rather vulnerable creatures, their slow movement and camouflage coat protects them from attack, mostly from predatory birds. They blend into trees where they live, and their coat and skin is actually a mini-jungle in and of itself, playing host to a moth species that only lives on sloths, and a type of algae that gives the sloth nutrients and turns them green during the wet season. A sloths’ claws are their only defense! If a sloth is cornered, they may swipe at their attacker to try to scare them away or wound them. 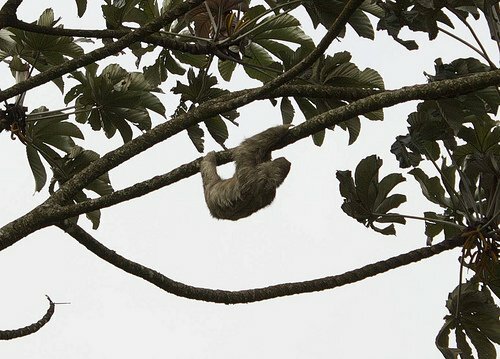 The sloths’ hook-like claws and strong grip keeps them suspended in trees, so even when they are shot by poachers, they usually stay hanging in the tree. They only have about a quarter of the muscle mass of animals of a similar weight so they move very, very slowly. Some can even turn their heads almost all the way around or tilt their heads extremely far back, so they don’t have to move their bodies to watch for predators. They can pick up the pace a bit when absolutely necessary by using their claws to drag their body forward across the ground. 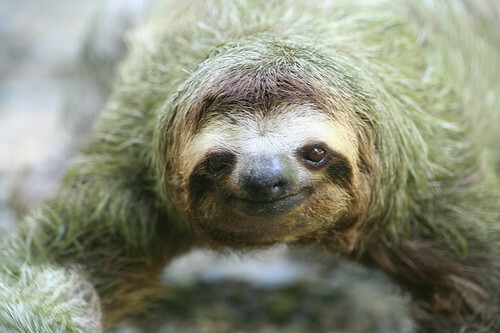 Sloths are solitary animals and only come together to mate. Females are pregnant for six to eleven months and usually have one baby a year who hangs on their back for up to two years. The mother chews leaves and passes them to the young so that the bacterium necessary for digestion is transferred over to the young. 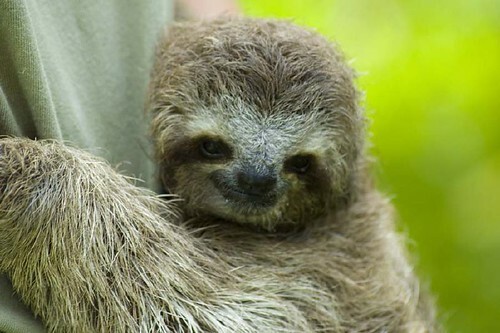 Mother sloths are quite protective of their young and will hiss and claw at potential threats, but they are also known to abandon their babies if they fall out of the tree and onto the ground. This may be because of the danger involved with coming out of the tree, or because the mother senses the baby is injured and will die. True to their independent nature, sloths only come out of their trees about once a week to poop and pee, and they do it at the same place every time, neatly digging a hole and covering it up. Given how vulnerable the sloths become on the ground, scientists have been trying to understand this curious behavior and have developed a few theories. One idea is that the scent helps attract mates, as they really have no other mating rituals to speak of. Another is that the sloth’s excrement fertilizes the tree. National Geographic calls the Osa “the most biologically intense place on earth,” and it sustains 2.5% of the world’s biodiversity. 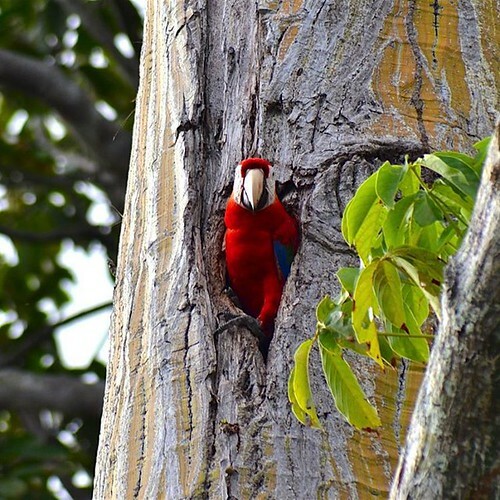 It holds the largest population of scarlet macaws in all of Costa Rica, and you can often see these socially monogamous birds flying in pairs on the beach in front of Blue Osa. The Osa has 300 endemic species of plants and vertebrates and 140 different mammals, including 25 species of dolphins and whales. Wildlife lovers may visit the peninsula because of the sloths, but there is an incredible abundance of other beautiful animals to experience while you are here. Spider monkeys often pass through the property of Blue Osa, we often wake to the territorial screams of howler monkeys, and toucans make frequent appearances. Macaws nesting near Blue Osa. During your stay at Blue Osa, you have the option to take a tour to the Osa Wildlife Sanctuary, which includes a relaxing boat ride across Golfo Dulce from Puerto Jimenez. On the way back you may stop to watch dolphins or go for a snorkel. The sanctuary itself has an interesting history: originally started as an eco-lodge, locals began dropping off injured animals, mostly birds, and soon “there was no time for guests,” writes Founder Carol Patrick on the Osa Wildlife Sanctuary’s website. Today there is a wide variety of orphaned and injured animals, including spider monkeys, sloths and kinkajous. The sanctuary is committed to the ethos of eco-tourism, which includes conservation, support of the local people, and environmental education. 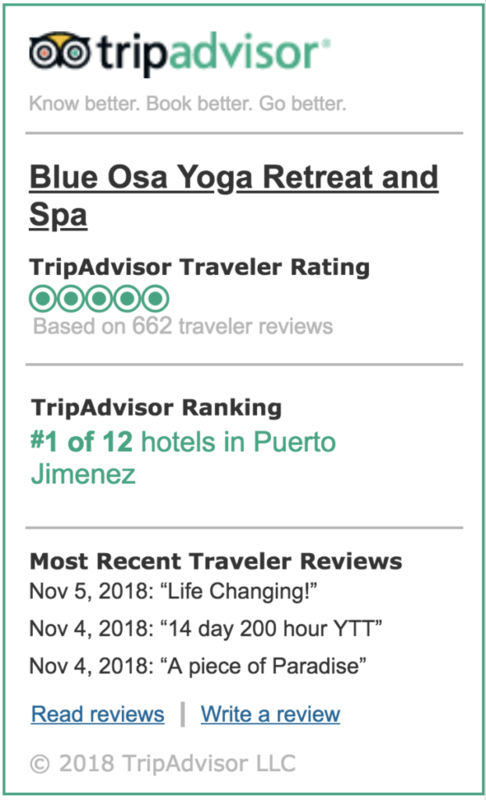 In conclusion, if it is sloth sighting that you seek, Blue Osa Yoga Retreat & Spa is an excellent place to call home while you’re in Costa Rica. You may see sloths in the immediate area, or on the Matapalo Hike. You may also want to plan an overnight trip to Corcovado National Park at the beginning or end of your stay, where sloths live away from the influence of civilization. If you prefer the direct route, Blue Osa’s weekly trip to the Osa Wildlife Sanctuary is a must. 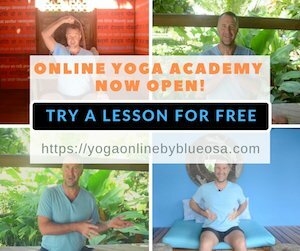 The Osa is truly a wildlife lover’s paradise, and if seeing interesting animals while practicing yoga every day in an incredible setting sounds like your idea of the perfect vacation, book your trip as soon as possible. Although truth be told, the sloths aren’t going anywhere. See The Sloths In Costa Rica! Laurel Brauns is a travel writer, musician, and yoga life coach. 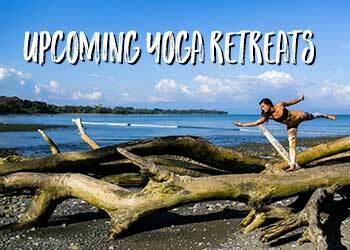 She has lived in Costa Rica for the past two winters studying yoga has believed this country offers powerful transformative experiences to visitors who are looking to immerse themselves in nature and healthy living. She is a regular contributor to the blueosa.com blog. Learn more at lifecoachingwithlaurel.com.